As thou didst share in the ways of the apostles and didst occupy their throne, thou didst find thine activity to be a passage to divine vision, O divinely inspired one. 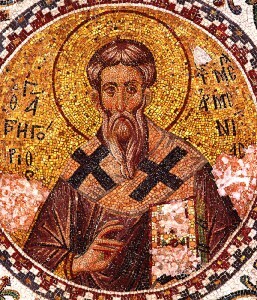 Wherefore, ordering the word of truth, thou didst suffer for the Faith even unto the shedding of thy blood, O hieromartyr Gregory, entreat Christ God, that our souls be saved. 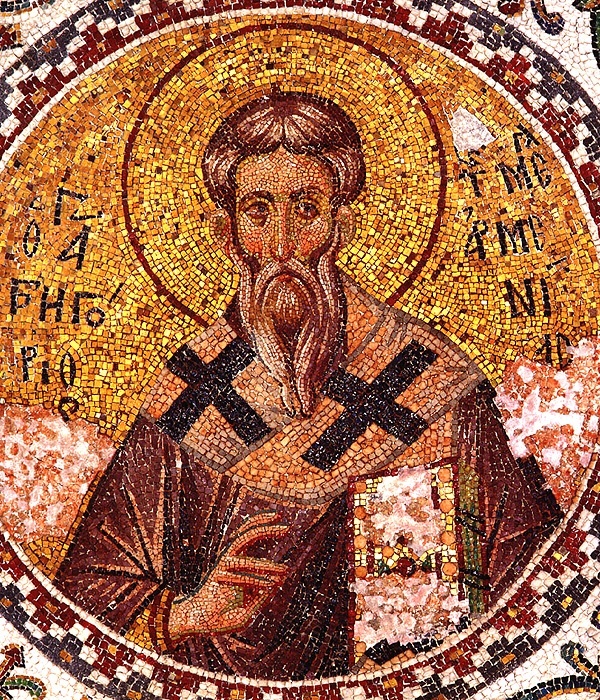 O ye faithful, in songs and hymns let us all praise today the right glorious hierarch Gregory as an athlete, a vigilant shepherd and teacher, a universal luminary and champion; for he prayeth to Christ, that we be saved. ➢ Please consider giving a donation toward the legal process of Tatsiana seeking asylum as a refugee in the US. She is in need of our support and prayer. No Adult Education Class this week. Next class will be October 10th. Please stay for the Prayers of Thanksgiving following Liturgy, as the children are having Sunday school in the fellowship hall. Mary and Martha Women’s Fellowship moved to October 11th, 7.00 PM. Books for men’s and women’s group available. Talk to Stavroula or Fr. Andreas to purchase a copy. Saint Paul is urging those who read his words to pray at all times, to persevere and stay alert in prayer, and to remember everyone—”all the saints”—in prayer. 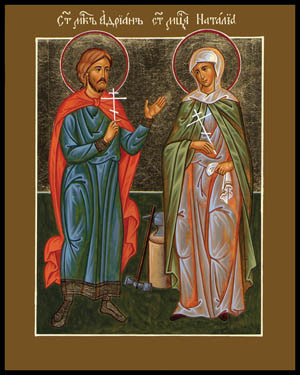 While the words are meant for all of us, there are certain Orthodox Christians who take them as their life’s work—the monastics. In men’s and women’s monasteries, prayer is offered constantly for members of the Church, and for the world beyond the Church. That kind of prayer is a great effort, and it is serious work. The abbess’ words are a good reminder not to take lightly the privilege of sharing the Eucharist. In speaking about this, she said, “There are some [Liturgies on a weekday morning] when maybe we are coughing or off-key, there is nobody but the priest and the nuns, or maybe it is a rainy, cloudy day—and God comes! He lets us do this. He lets us have the Liturgy, and receive His Body and Blood. Wow. Here we are, some Wednesday morning in Ellwood City, and we just touched heaven.”The monastery has begun a building program. A large part of the nuns’ ministry is hospitality, and they receive all kinds of guests, some who visit for a few hours and others who stay for several days. They need more space to accommodate their guests and also for their own work and worship. For all of us who would like to visit a monastery, this is good news. The nuns open their doors and their hearts to us, and even when we are not there, they are “making supplication” for us, and for every person in the world.